The concept is a Bar (quickbar) manager. It will allow you to create Bars and manage different attributes for them. To compliment traditional bars, is a new concept called Extensions. The idea though is that you select a quickslot on your main bar you want to extend. You then indicate which direction you want this bar to extend into. There is a list of predefined configurations such as: Hunter Travel, Warden Travel, LM Combat Pets, LM Cosmetic Pets, and many more. Organize skills, items, mounts, pets, and more onto Quick-Bars for easy access. Trigger those bars to display under certain circumstances. Based on Class Specific Buffs!!! Copy bars, Reset Bars, Copy the entire bar setup from another character on the same server. Make sure to Download and install DragBar, it's not required, but highly Recommended!!! This will make TonicBars work similar to Standard Turbine Bars (you can move windows around using the ctrl-\ command). Submit a TICKET!!! This is a VERY good way to get things fixed or ask for features! Makes things easier for me as a developer. -Added basic Mount Triggers - You can now specify that you want this bar to trigger when Not Mounted. That means that some of your skills that you used to have ALWAYS Visible you need to change to be Triggered based on NOT MOUNTED. That will produce a similar effect. - Fixed issues where Shortcuts were not being remembered. - Fixed issues where bars movement was not preserved across loads. 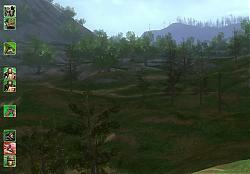 - Fixed Visibility issues on General Menu. -Fixed issue with Bars showing up every login in edit mode. -Bars should now remain in the same spots regardless of resolution. Skills can be SWAPPED like the Turbine Bars... take a skill and drag and drop it over antoher one and they will swap instead of overwrite. Skills between bars can now be Swapped. You can now Edit your bars when the Settings menu is NOT active. When you go into settings now, the bars are not immediately highlighted. To see the highlighted bars, click "Edit Mode". If you leave settings are the bars are still highlighted, you will have to go back into settings and click "Edit Mode" to turn that off. Cleaned up code around menu panels etc. -Fixed the extensions wrapping when horizonal and larger than 5 columns (hope I didn't re-introduce the original problem). -When you click on a TAB at the top of a bar, it doesn't highlight the BAR in the settings anymore. -Started using the new LUA Class structure. The List of Tasks / Bugs is Listed Here: submit new ones if you are interested. Have char which has to switch between full screen and windowed mode regularily. In the Settings file the Barsettings seem present. but the bar simply doesnt show. the vales that were present before I change them are reentered from somewhere. Anone having an idea how this can be fixed ? I be able to see them again. Last edited by maddog1169 : 12-22-2017 at 07:22 PM. Damn, that's all I had to do to activate it ? And you're right, it doesn't have any caption in French either. Thanks a lot for your help, I'd still be stuck at the same point without you ! Last edited by Ahradir : 06-01-2017 at 12:49 PM. 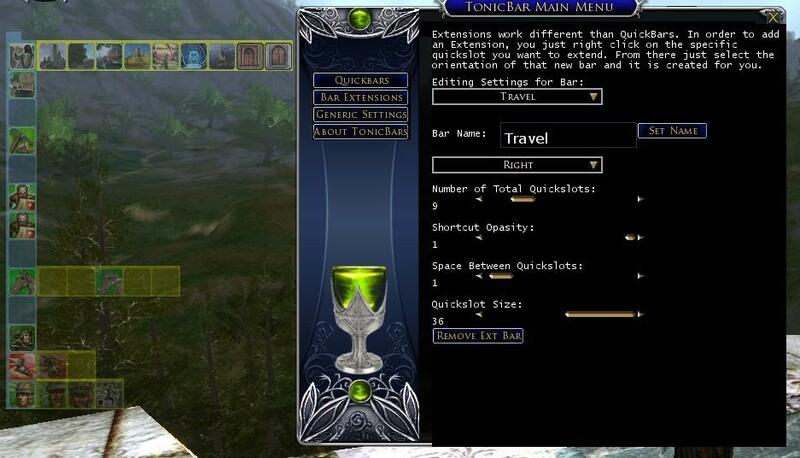 You have to activate the edit-mode for your Tonic-bars. In the options menu press the upper left button, which has no caption (text on the button) in my German client, so it may have no caption in French as well. If you do so, your bars will show a title, making them movable. I've got a problem with this plugin : I can't move the bars. I use the 2.9.1 version of TonicBars and I'm on the french version of the client, if it is of any importance. I can create a bar with the slots I want, it appears on screen and I can click the items ; but I can't move it at all. I think it should be highlighted in green, with the name of the bar displayed when I'm in TonicBars menu, but nothing, it just appears as any other bar, and I can't drag it. Have anyone had the same problem and/or know how to fix it ? Don't know if anyone's even doing stuff with this anymore, but figured I'd ask. I have an annoying bug that happens whenever I try to add something to any bar I've created. The first time doing something after awhile, it moves an existing shortcut to where I'm trying to move the new one to. So I have to move that shortcut back to where I had it, then go into my skills window to put the shortcut in its place. If nobody is working on this plugin anymore(I see it's in the "outdated" section), then is there a newer plugin that provides the same functionality? SettingsManager.lua:47: Unable to parse file! i try to make the "," and "." change in the global settings from win10, but nothing works. changes in all lines with [ " menuLanguage " ] = "de"
Last edited by Hjaldis : 02-18-2016 at 11:42 AM. Finally it works! Changed OS back to German and made the steps you have written. Everything's fine again. Thank you very much! It looks like the author made a mistake in trying to work around the well-known "settings file localization bug". He used the operating system's language (Turbine.Engine.GetLocale) instead of the client language (Turbine.Engine.GetLanguage) to select the format for the settings file. So when you changed your OS's language to English, the plugin tried to read the settings file with English-format numbers (1.23 instead of 1,23). Then, restore your original settings file to its original name/location, and load the plugin. Note: This will only work when your client language is Deutsch. ...s Online\Plugins\Tonic\TonicBars\SettingsManager.lua :47: Unable to parse file! I changed the language of win10 from german to english, may this cause a problem? I switched to german again today but the error messages stay the same. The client language was never changed no. That's weird. Last edited by Legolhir : 08-13-2015 at 11:40 PM. 1. Unload the plugin (or exit the game). 2. Move or rename the settings file, so the plugin can't find it. 3. Load the plugin and change some settings so it creates a new settings file. 4. Unload the plugin and reload it to verify there are no errors. If the above works without any error messages, then it means your settings file was corrupted somehow. I don't know how this would occur in the process of updating the OS. It shouldn't. It's probably something like the file permissions being wrong, or the character encoding of the settings file. Last edited by Thurallor : 08-13-2015 at 08:06 AM. What should I do before I send you the file? Just rename the file to random and start the game new or just send you the corrupted file? Thanks for your help! Last edited by Legolhir : 08-12-2015 at 11:33 PM. If that is the problem, you can send me your settings file and I can try to repair it. Since updating my notebook to win10, tonicbars isn't working on my account any more. 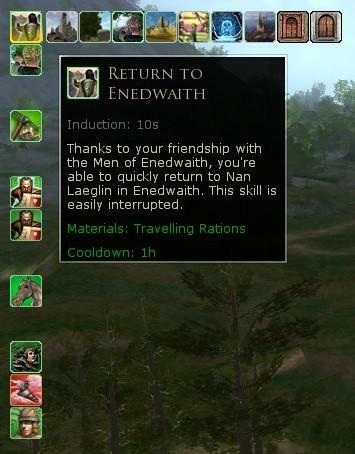 When starting the game the message '\Documents\The Lord of the Rings Online\Plugins\Tonic\TonicBars\SettingsManager.lua :31: attempt to perform arithmetic on field 'relationalX' (a string value)' occurs. I already uninstalled the tonicbars via plugin compendium and installed it new, but the issue stays the same. Last edited by Legolhir : 08-12-2015 at 12:30 AM. I lost all my data on my computer want needed to download and install this again. But when I go to unzip the file, it says it is invalid. 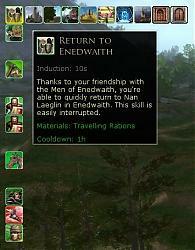 Tried it manually and using Plugin Compendium, but still a no go. There seems to be an issue with the placement of quickslots. I noticed they had moved the other day, fixed them and now they are no longer on screen. |s it something to do with using the full screen windowed mode? Confirmed. It uses the windowed resolution as limitation of the useable screen area. This can be fixed by setting the windowed resolution (in Options->Graphics) to the full screen resolution for your screen. I have that same problem with ONE character, on all other characters the plugin works fine without having to change the windowed resolution. With that one character though, the solution mentioned above does not work. Whatever I do, the next time I log onto her, the quickslots are in different places, some of them outside the screen (as can be seen by switching to edit mode, when the extention bars belonging to them become visible). I have even deleted all quickslot bars and made new, but the problem remains. When I log onto this character in windowed mode with a resolution significantly lower than full screen and then, while already on the character, switch to full screen, all quickslot bars appear again in their intended places. Does the problem maybe have something to with FIXING the quicklots? I remember fixing them on this character but I don't think I did with the others.